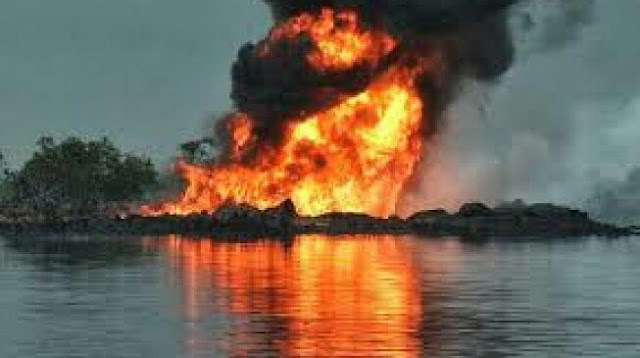 The Niger Delta Avengers (NDA), the militant group leading the attacks on oil installations, has blown up pipelines belonging to Chevron and the Nigerian National Petroleum Corporation (NNPC). Mudoch Agbinibo, spokesman of the group, disclosed this in a brief statement. “At 10pm Niger Delta Avengers blew up Chevron Well 10 close to Otunana flow station,” he said. Until Monday when Twitter blocked the account of the group, avengers were for of announcing such attacks on social media. They resumed hostilities after a two-week ceasefire, which led to an increase in oil production. Between Friday and Sunday, they damaged five oil pipelines in Delta. The government could not reach any meaningful deal with the group during the suspension of violence. Lamenting the frustration of the current administration in its effort to negotiate with the groups, President Muhammadu Buhari reached out to leaders of the ruling All Progressives Congress (APC) to help him pacify the militants. The group said its aim is to cripple the economy of the nation.